Northwestern football union: Will college athletes’ union gambit succeed? Could it change the NCAA forever? Hey, Hey, NCAA. Unionize College Sports Today! Will Northwestern football players’ union gambit destroy the NCAA’s student-athlete myth once and for all? On Tuesday, football players from Northwestern University filed a petition with the Chicago regional office of the National Labor Relations Board. They’re asking to be represented by the National College Players Association, which would then become their labor union. If the NLRB determines that the players can unionize, the economic structure of Division I football would be swiftly overturned, with men’s basketball likely close behind. This one small move by the Wildcats is a very big deal. Victory would mean that the players’ union could bargain about the conditions of their employment, conditions that would properly be considered outrageous in any context other than high-revenue college sports. 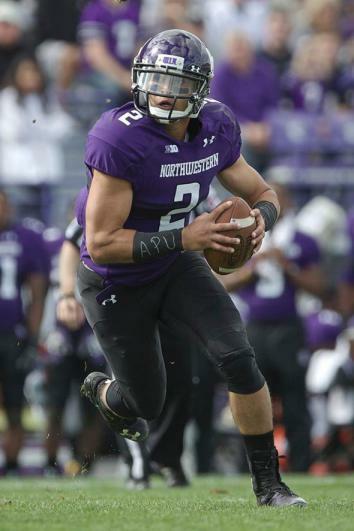 Northwestern’s quarterback Kain Colter, who initiated this move, called the NCAA a “dictatorship,” saying, “No one represents us in negotiations. The only way things are going to change is if players have a union.” Colter zeroed in on some of the problems players face, including medical expenses that the players incur after their careers are over and the lack of movement toward safer practices that might reduce the incidence of concussions. The quarterback was quick to say that the players weren’t asking to be paid—at least not yet. But surely that issue will arise if and when the union goes to bat for the players. Some have bought the argument that there is “no employment relationship” here. Northwestern’s own labor law expert, Zev Eigen, thinks these athletes are “primarily students” since they’re “paying tuition to attend the university.” A series of judicial decisions finding that athletes aren’t employees entitled to medical benefits supports Eigen’s conclusion. But the players might be able to convince the NLRB otherwise. Since the section of the National Labor Relations Act that defines employee isn’t helpful, the NLRB looks elsewhere to determine who is and isn’t an employee. Chief among these factors is the extent of control that the employer has over the person claiming employee status. In an influential law review article, labor law scholars Robert and Amy McCormick undertook an exhaustive analysis of the extent of a university’s control over its football and men’s basketball players. They interviewed players, and gathered information about the amount of time they spent on their sports throughout the year—in and out of season—as well as how pervasively the coaches and other university employees controlled the athletes’ academic lives. Their findings are a splash of ice water in the face of anyone claiming the players are students first, athletes second. Based on the number of hours spent on the sport (as many as 53 per week), the number of days per year given over to football (262 for those teams in bowl competition; 240 otherwise), and the restrictions placed on their academic choices in service of the sport, the school’s control over the athletes is almost complete. It’s hard to call these men “primarily students.” Colter put the matter simply: He “can’t miss an athletic event to attend class,” but the reverse is routine. And the compensation itself—in the form of scholarships, housing, and meals—enforces the control: no compliance with the rigorous demands, no money. So the case for calling these football players employees who can collectively bargain through their designated union looks strong, at least when an economic reality test is used. But there are a few caveats. First, if Northwestern—which has joined the NCAA in opposing the petition, albeit more respectfully—doesn’t like what the NLRB decides, they can appeal through the federal courts. So the process could drag on, and the school can hope that by the time the players win, interest will have waned. If anything, though, it’s likely that the pressure will continue to mount. Second, the National Labor Relations Act only applies to private employment. So even though a decision in favor of the players would likely inspire their peers at powerhouse private schools like Stanford and Notre Dame to follow suit, it won’t have any direct effect on public schools—by far the majority. Also, many states restrict the collective bargaining rights of their employees, either by removing them completely from entire classes of workers, or by limiting the subjects of negotiation. Don’t expect to see a successful union movement coming from the students at Ole Miss—in general, the South is inhospitable territory for public employee unions. But in the states that do allow their employees this right, the laws governing public employment relations are generally modeled on the NLRA, and are often interpreted so as to be consistent with the NLRB’s decisions. The prospects look bright for students at UCLA, for example, because most state employees in California have the right to bargain collectively. All of this means that a decision in favor of the Northwestern players will likely explode throughout college football. A tipping point will be reached once enough teams are represented by unions. When that happens, it will be much harder for every school—and the NCAA—to resist meeting players’ reasonable demands, even if players at some universities will be forbidden from unionizing. What elite player will want to attend, say, Oklahoma, if he’s assured of post-career health care at Notre Dame? Top-tier college programs will have to cough up benefits if they want to compete with their football brethren. If the players win, what’s the end game? They’ll certainly demand real money before long, and it will be hard for universities to make the case that the players are adequately compensated, given the billions of dollars that revenue sports earn for schools, sponsors, and coaches—everyone, that is, but the players. In short, football and basketball won’t disappear if the schools have to pay their players. But here’s a possible unintended consequence: The success of football and basketball players in earning a long-overdue pay check might be taken out of the hide of athletes that don’t generate revenue, causing sports like wrestling to disappear even faster than they’re vanishing now. Of course, schools can avoid making these hard choices. Instead, they can always do away with some of their pesky academic programs.